You need resources to construct or upgrade buildings, conduct Researches, prepare troops and purchase items from the Store (TP only). 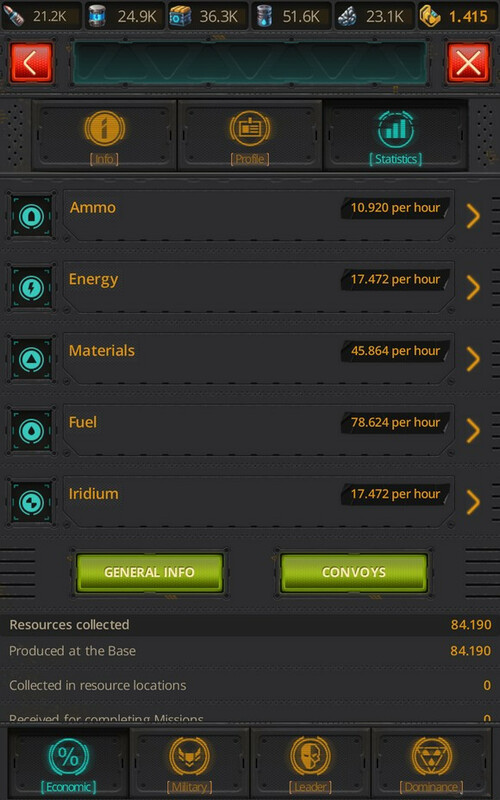 There are 6 types of resources: Ammo, Energy, Materials, Fuel, Iridium, Technology Points. 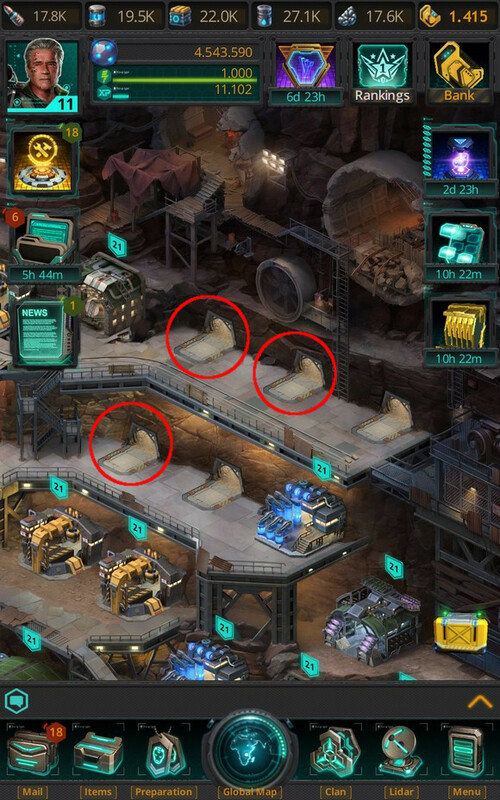 The volume of resources produced and collected can be increased with the help of Researches, Leader’s Skills and special boosts. 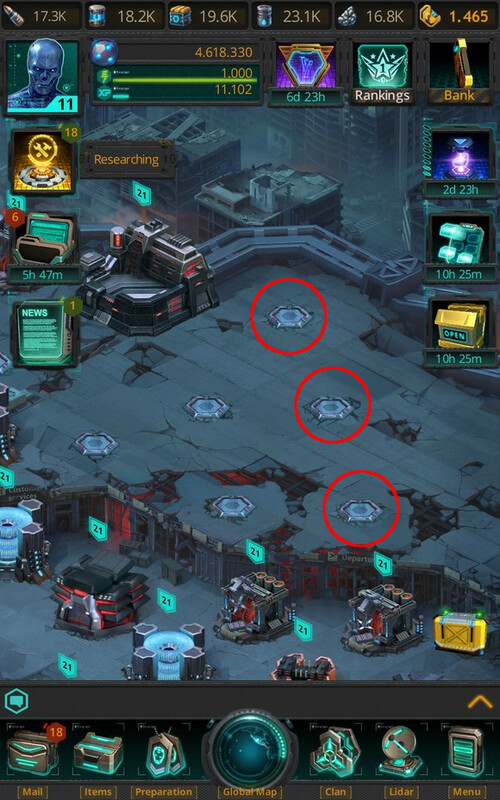 You can view the general amount of resources produced in your Base in the Headquarters/Core menu under the Statistics tab.